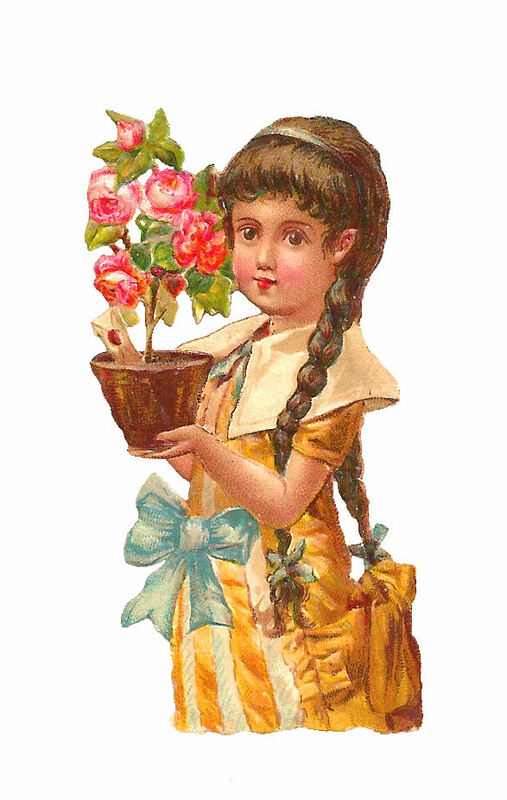 What an adorable Victorian scrap of a girl holding a pink rose bush! This antique image is so wonderful. I love how the blue bow on the front of her dress is mirrored in the two blue bows at the end of her braids. And, did you notice the little, was-sealed letter in the pot of the rose bush? 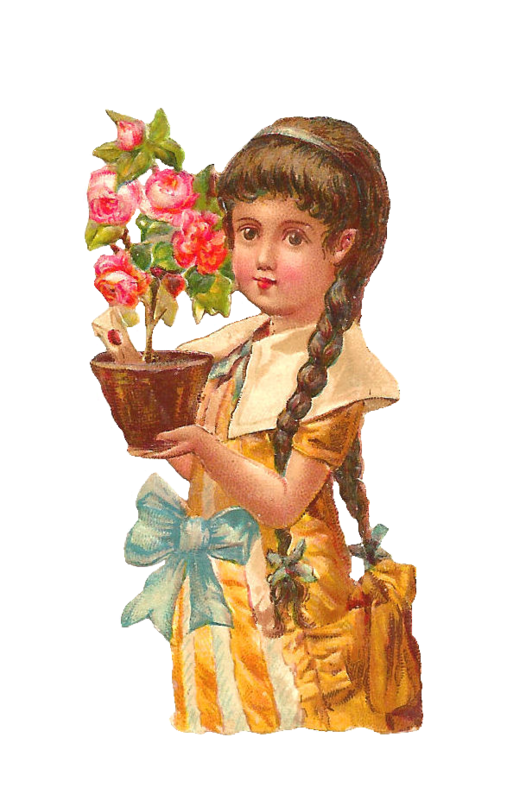 Clearly, she is offering a gift, so this image would be great on a gift tag or greeting card. I've given you both the .jpg and the .png files. I hope you enjoy!